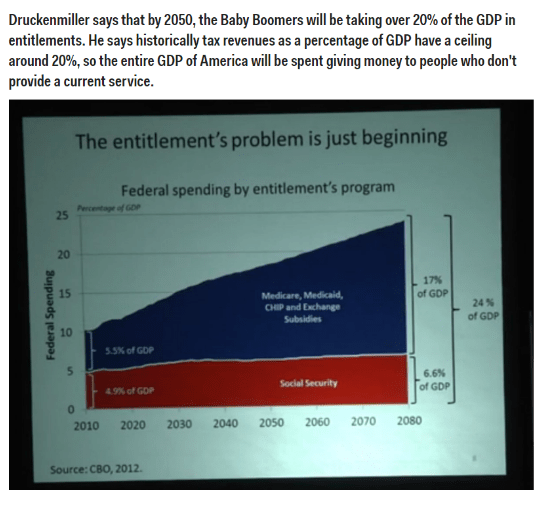 When I think about the next five, 25, 50 years I often ask myself, “What things will be better in the future? What things will be worse? And how do I best prepare?” I tend to oscillate between excitement-hopefulness and mild paranoia. I have now decided to split the difference between optimism and pessimism and say that I will be Optimistic but Hedged. Gramsci said it best, we must have “Pessimism of the intellect and optimism of the will.” In other words, we may face challenges but we can overcome these challenges. Protectionism, populism, and debt are some of the major issues that concern me about the future. Bridgewater recently released a very thorough report on this topic that outlines some of the social tensions in today’s world. I have thought about a few solutions but to keep this essay focused I will analyze just one. As I have alluded to in Thoughts on Money, the global economy is highly leveraged and despite central banks’ stimulus, growth remains sluggish. I used to be concerned about hyperinflation but I’ve recently been reading a very good book that has fundamentally changed my opinion; in Age of Deleveraging by Gary Shilling,1) When it comes to listening to “experts”, nowadays the only “experts” I trust are those with an empirical track record of accuracy. Mr. Shilling passes this litmus test with flying colors. Shilling convincingly argues that the main problem the world economy faces is deflation. 2)Unintuitively, catalysts for deflation and inflation are often very similar. Indeed, the latter often follows the former. So the question is where are the opportunities and what can we do? Where are the countries that are building bridges at a time when others are building walls? Where are the people that are looking to attract capital and productive labor, at a time when others are scapegoating immigrants and foreigners for their problems? These are the countries that have an eye towards building a better future. 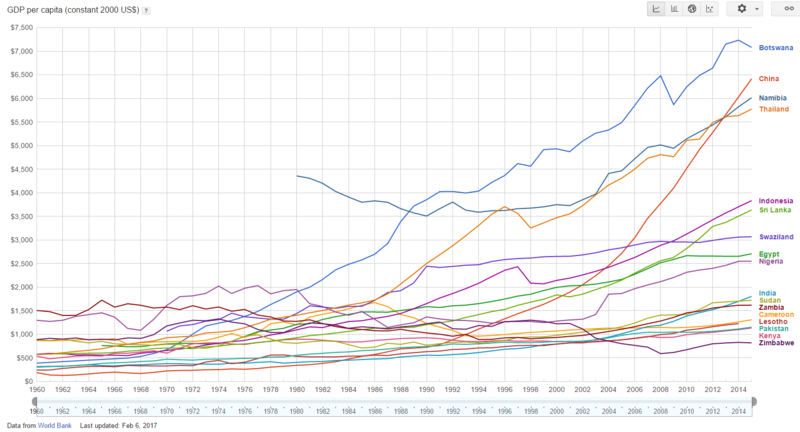 Asia and the buzzwordy BRICS are often touted as high growth “emerging markets”. This may prove to be true, but countries like China currently have a lot of excess capacity and highly levered companies; though I am optimistic in the long-term, in the short or medium term the deleveraging may be painful. 3)Note, that I use vague terms like “long term” and “short term”, unfortunately, I am not good at timing the market, nor am I inclined to try. The beauty of life is that it tends to be more rewarding to be generally right than precisely wrong. It’s slightly sad and ironic that many developing countries have most of the ingredients necessary for economic prosperity (cheap and plentiful labor force, undervalued asset prices, good weather, natural resources etc.) but the only thing missing is fair governments that support business and markets. 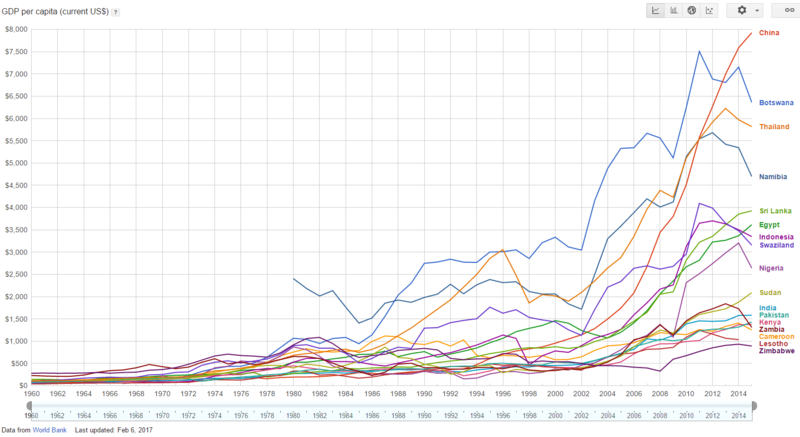 Most countries err on too much socialism (see Venezuela) or “capitalism” that decays to cronyism (see Congo). If you find a country that has a good balance of both you should immediately start investigating further. I did some research and landed on Botswana, Namibia, and Rwanda. 4)I used Ease of Doing Business, Transparency Index, HDI index as starting metrics. I originally added Tanzania to the list but I have been reading some concerning corruption reports regarding the government lately. 5)Of course, corruption is universal. However, it’s like risk. The question is What amount of corruption and cronyism are you comfortable investing in.In the interest of time and fleeting attention spans I will talk about Botswana because it is the country I have researched the most on and I feel the most optimistic about. However, the general thesis applies to all three countries. 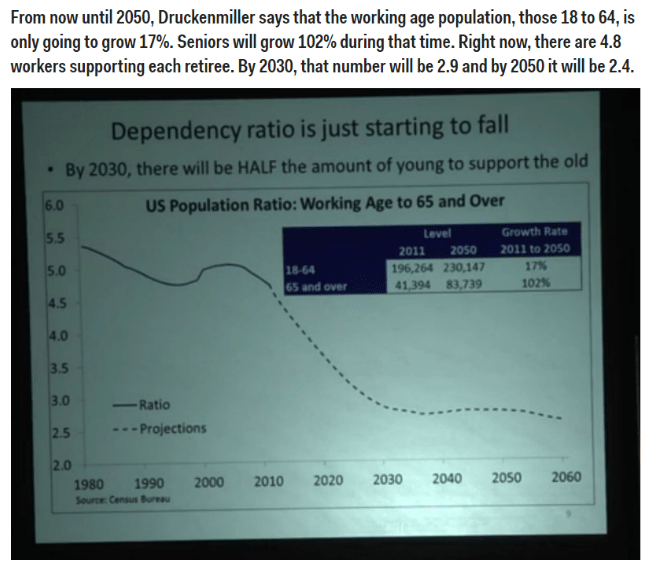 Most Developed countries have a significant retiree crisis looming with an increasing number of old people depending on a weakening labor force. 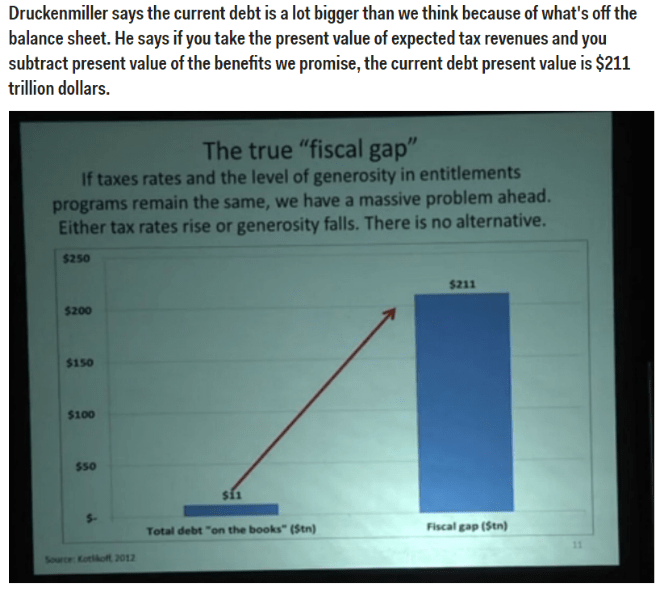 Stan Druckenmiller gave an excellent talk on the debt and demographics problem that America and other developed countries face. They are all very disciplined, intellectual, and serious men who spend little time socializing or on international diplomatic hobnobbing. Most of their time is spent reading and thinking about their country’s future. 6)They actually also remind me of the Founding Fathers; both the famous American ones and the less famous Nigerian ones, such as Obafemi Awolowo and Tafawa Balewa. Very tight control over the governance of the country. Most importantly, they are very aware of their countries’ weaknesses, the strong possibility of failure and are very candid about the problems they must overcome. The biggest concern, however, is that once Kagame and Khama leave, will their respective countries be able to maintain the good governance that currently exists. Especially Rwanda, which is still recovering from the effects of the Rwandan genocide. On a more micro level, I am excited about a few companies. Of the three countries, the Botswana stock exchange has the most advanced and foreign investor friendly stock exchange so I will start there. Moving forward, I would like to invest in more tangible real assets such as agriculture and manufacturing, and give people jobs; but this is a good place to start. LF is a financial services firm, specializing in providing banking and credit services to Africans. One of their business models include micro-lending to formally employed clients (government and private-sector) in African countries. Loans are repaid using payroll deduction from employer. Africa’s consumer credit market is virtually nonexistent. There is a segment of the African population that is very creditworthy and have a steady income etc. but financial institutions are not willing to lend to them. If the African economy becomes wealthier, and its individuals generate more income, financial institutions like Letshego will stand to benefit. Finally, they seem to place an emphasis on their having a positive social impact. This is purely subjective and all companies say this; however, for reasons I can’t presently express in words, I believe them. I may be letting wishful thinking and other miscellaneous emotions partly cloud my objective analysis of LF and Botswana. However, as long as we are aware and honest about our potential biases, we are less likely to be led astray by them. Editor’s Note: I recently learned shortly before publishing this article, that investing in BTCL is limited to Botswana citizens. I have various reasons for investing in this company, in the interest of brevity and my readers’ ephemeral attention span I will simply state the main catalyst. Telecoms are notorious oligopolies, and historically, individuals who invest in closed economies before their economy is liberalized tend to reap greatly and facing little competition, enjoy easy profits for many years. 7)Hence why many individuals on Forbes 400 from previously socialist economies, are typically in the telecoms or energy industry. They were in the right place at the right time when these sectors were getting privatized. I looked at this from a very simple perspective; Imagine being presented with the opportunity to invest in Telmex when it was first privatized, you would be Carlos Slim. In the event of a global macroeconomic downturn: Botswana remains dependent on diamonds exports and tourism 75 and 12% of GDP respectively. If external demand falls, the economy would slow down as well. This has been slightly mitigated by efforts to diversify into manufacturing, “tech and innovation hubs”, and logistics. However, in our increasingly globalized society, no state is truly decentralized. Government confiscates assets of foreign investors, unlikely but not impossible. Ian Khama steps down. Will the transition of power be smooth and peaceful? Will his successor be principled and maintain the institutions and long-term plans for the country. Geography: LANDLOCKED. Water scarcity is an issue that has not been resolved yet. Most of the land is sandy and dry, and either uninhabitable or unpleasant to live. Developing a manufacturing or export-driven economy could be problematic if you have to go through Namibia, South Africa or Mozambique every time you want to access European or Asian markets. 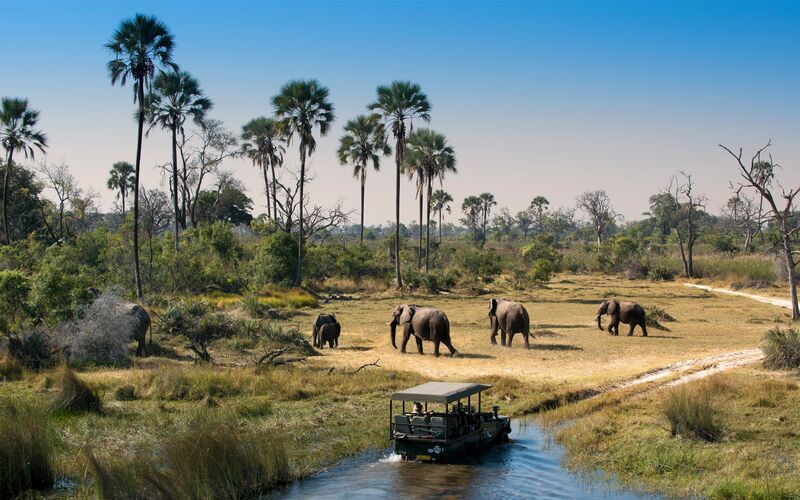 Small market, Botswana’s population is just over two million people. Are they willing to allow productive workers to immigrate? Will they treat the migrants and foreigners fairly? Inflation is an ongoing risk as developing countries have a track record of devaluing their currency to support social programs. 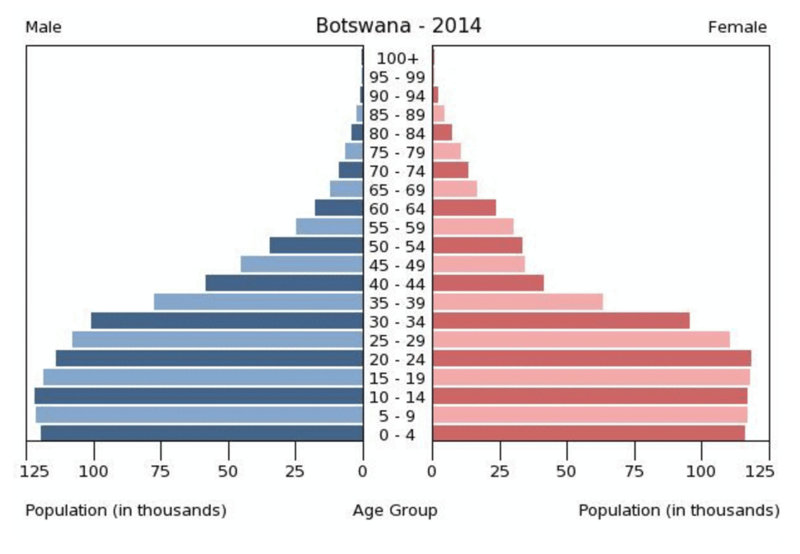 Botswana seems to be a bit more disciplined in this regard but it remains a “not insignificant” risk. Quite simply, the odds of me being wrong are larger than the odds of me being right. So the question is, “Why would you put these thoughts in writing for everyone and posterity to see? What if you are wrong?”. Firstly, I have benefitted a lot from the writers that came before me, the possibility of being wrong is worth the benefit of sharing some useful knowledge with those that come after me. The purpose is for you to see my thought process, and find your own conclusions. Finally, the most important thing for me is intellectual improvement. By sharing my thoughts with the public, a lot of people come to me and say “I agree with X, but disagree with Y because…”. Or “Why did you say X? When the conclusion is Y not Z”. As usual, this critique can only improve one’s thinking and is worth the mild embarrassment of being wrong. I have chosen to talk specifically about Africa to keep this essay coherent and prevent it from being digressive. However, this is a framework that can be applied to any aspect of your life. Always be realistic with yourself regarding the challenges that you may face, but prepare yourself so that you will be better equipped to overcome these challenges. 1. ↑ When it comes to listening to “experts”, nowadays the only “experts” I trust are those with an empirical track record of accuracy. Mr. Shilling passes this litmus test with flying colors. 2. ↑ Unintuitively, catalysts for deflation and inflation are often very similar. Indeed, the latter often follows the former. 3. ↑ Note, that I use vague terms like “long term” and “short term”, unfortunately, I am not good at timing the market, nor am I inclined to try. The beauty of life is that it tends to be more rewarding to be generally right than precisely wrong. 4. ↑ I used Ease of Doing Business, Transparency Index, HDI index as starting metrics. 5. ↑ Of course, corruption is universal. However, it’s like risk. The question is What amount of corruption and cronyism are you comfortable investing in. 6. ↑ They actually also remind me of the Founding Fathers; both the famous American ones and the less famous Nigerian ones, such as Obafemi Awolowo and Tafawa Balewa. 7. ↑ Hence why many individuals on Forbes 400 from previously socialist economies, are typically in the telecoms or energy industry. They were in the right place at the right time when these sectors were getting privatized.